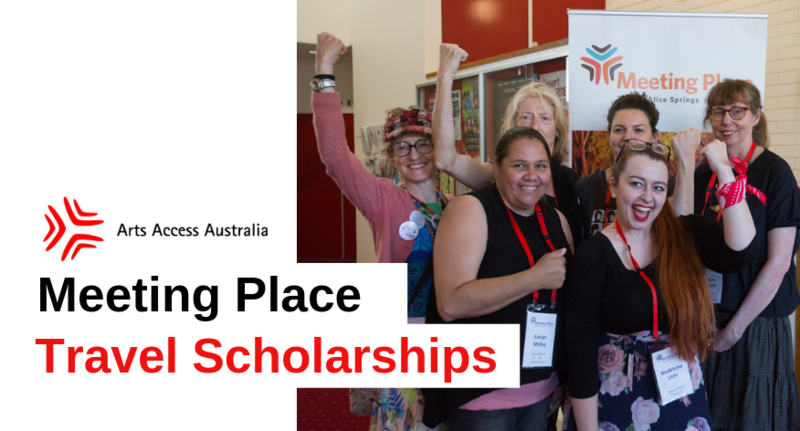 The Meeting Place Travel Scholarships provide return flights, accommodation and per diem costs to recipients from Australia, towards attending Australia’s leading national forum on arts, culture and disability. The Meeting Place Forum is the signature annual event of Arts Access Australia, the only disability-led event of its kind in Australia. Established in 2012 and facilitating national and international exchange, Meeting Place brings together arts leaders, managers, arts workers and artists with disability from across Australia and the globe to present, perform and discuss best practice in access to the arts. These programs centre around a one-day forum with invited keynote guests discussing the latest issues in the sector. Today, the forum has grown to become an annual event attracting up to 200 delegates across the national and international arts and disability sectors. The first international Meeting Place was held in Germany in 2017, and the aim is to hold an international forum every four years. In 2019, the forum will be held in Canberra (ACT), from 1 to 3 December, coinciding with the International Day of Persons with Disabilities. You can read more about Meeting Place or register your interest to attend the event. The Meeting Place Travel Scholarship provides return flights, accommodation and per diem costs to recipients from Australia, towards attending Australia’s leading national forum on arts and disability. The Scholarship will be divided amongst successful state applicants as determined by AAA’s selection criteria and judging panel. The Scholarship will be by application only and aims to provide support for those delegates who are involved in Meeting Place, such as speakers, panellists or exhibitors/performers. The recipient(s) must satisfy all criteria including: be a Professional Member of AAA (or willing to become one); identify as a person with disability; be over the age of 18; be an artist/performer; be an Australian citizen, residing in Australia; and be able to attend all three days of the forum. More information about the 2019 Meeting Place Travel Scholarships will be available soon. The Travel Scholarships aim to inform, empower and inspire. In 2018 the Travel Grant supported eight recipients to attend Meeting Place in Alice Springs, from 24 to 26 September. Evaluation of our 2018 program found that recipients experienced increased motivation and confidence, established new connections and networks, and leveraged the opportunity to start new artistic projects, performances and enterprises. You can read about the 2018 Travel Grant recipients experiences here. It costs between $1500 and $2000 to send an artist to Meeting Place, but the experience can have an invaluable impact to an artist’s career. Donate now to help fund an artist to attend Meeting Place. And if you donate before 31 May 2019, Creative Partnerships Australia will double your donation through their Plus1 Funding program.